Alexander Goldberg Jero, the first winner of the first-ever Surround Sound Music Award back in 2002, has been making waves in the last few months with the planned arrival of his new High Definition Music Card – which he now says will be released with Mozart’s Requiem on file. The new innovative design of the HD card will allow music listeners not only to store their favorite tunes all in one place but will also be a sort of multi-media one-stop shop, where people can connect to share videos with friends, listen and share music and even explore the cards files to find some new tunes. With more than two hundred inspirational and innovative self-written songs already on access, Jero seeks to incorporate his card with all of the musical goodness that he can, and the recent addition of Mozart‘s name to the list of music available is sure to boost his popularity and send the HD card’s advertising team into overdrive! The HD card will come in a USB format, will contain a plethora of musical choice, will be interactive, fit in your pocket and – as if all that wasn’t enough – contains all of the latest and most advanced software related to surrounding sound production – the aspect for which Jero is most famous. The intricately simplistic device seeks to be compatible with desktop and laptop devices, iPads and phones, Android phones, headphones, blue-ray players – and any other number of functional devices that one can use to listen to music on. Compatibility is one of the big selling points of this product, increasing its functionality and thereby its value to the consumer. The days of keeping music on CDS are swiftly dying out! Jero’s innovative new product will be mass marketed, aimed at all consumers and specified as a new musical experience. It is set to take the music world by storm, and to re-establish Jero as a world leader in sound production. The HD card’s production is already attracting major record labels and other popular artists who support the idea of a new form of music. Jero doesn’t want to take all of the success to himself, however, and has earmarked space on the HD card for other artists to link blogs, bios and other information back to customers, helping every artist involved to flourish and prosper! Also good news for the consumer, who can scan through details of artists they like at a mere glance. Jero is recording a glut of classical warhorses anew, hiring the very best of musicians in the field to connect to his virtual studio and work under his own baton. However, these are not live ensemble recordings in the traditional sense. Jero brings sections in separately and records them, often utilizing previous recordings as reference material. He then assembles the final product in the mixing room. It’s an unusual approach for a genre as hopefully organic as classical music, and listeners reactions may be colored by the knowledge that high-tech wizardry has at least helped to craft the architecture of any given performance. By using this process he creates 3-dimensional sounds that pop against the background and create a unique new experience for all listeners. Jero has created the third dimension of music – and better yet, he is giving us a way to access it! All that is left to do is to wait for the announcement of the card’s arrival to see for ourselves what kind of delights lie in wait for us. If you wish to know more about the project, think you can contribute or even want to get in touch with Mr. Jero himself then you can find out more information at MedianVision.com. 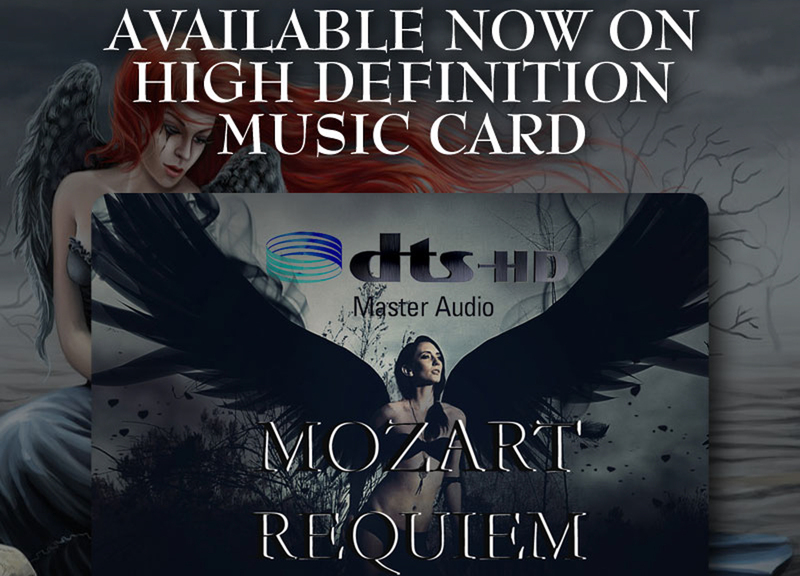 The High Definition Music Card is tipped to be the new format for music lovers everywhere, so keep up with the trends and don’t miss out!